Some of the large plastic toys were soiled with dust of more than one day's accumulation. Staff stated these toys were cleaned weekly. Since the last inspection in September 2014, approximately five bunkering records did not indicate the analyzer-chart recorder was calibrated prior to the start of bunkering operations. Some of the rat guards on the forward and aft mooring lines did not fully prevent the entry of pests onboard the ship. A container of sanitizing solution measured less than 50 ppm chlorine. Two paper cups with a small amount of coffee in each and some used tea bags were inside the uncovered handwash station waste receptacle. The bar was not in active operation during the inspection. The third nozzle from the inlet end on the upper final rinse manifold in the dishwasher was missing. The pressure for all of the nozzles on this manifold were reduced and there was no fan spray pattern in this portion of the final rinse cycle. The missing nozzle was located in the bottom of the machine and repairs were complete before the team left the area. On the coffee machine on the service line, old coffee residue was on the bottom of a panel above the dispensing nozzle. Wet, clean wiping cloths were found stored in an empty sanitizer solution bucket. The area was closed at the time of the inspection. The plastic milk tube between the milk reservoir and the coffee machine had not been removed for cleaning after the service was closed. The milk reservoir had been removed. Milk residue was observed in the tube. A new martini shaker could not be disassembled for cleaning or inspection. A house fly was in the closed bar. A house fly was in the closed dishwashing area. The dishwashing area was completely full of soiled items awaiting processing. Stacks of soiled plastic bins extended the length of the walkway along the bulkhead across from the closed dishwashing area. The stacks of bins extended around the corner into a bakery storage area. A stack of soiled bins from the adjacent dishwashing area was leaning against a shelf of finished baked products. A chocolate cookie was found on the deck under the storage shelf. The clean, but not air-dried, roll form had been placed back in the roll machine. Water was observed on the form and the machine. Soiled utensils were found on the counter behind the dump sink in the closed coffee bar. An open hole was in the ice/water dispensing unit that was difficult to clean. An open hole was in the ice/water dispensing unit with mold growing in it. A sticky residue was on the upper back portions of four sneeze guards. A fruit fly was in the area of the covered salads on the closed line. A sanitizer solution bucket was heavily soiled with grease and food debris. Heavy dust accumulations were in the recessed track area for the pass-through fire doors. A house fly was seen landing on clean utensils and pizza pans. These items were removed for immediate washing. The fly was eliminated. Blue Iguana Cantina and Guy's Burger Joint were added during the November 2012 dry dock. Both of these outlets have passenger self-service areas and no passenger handwashing stations were installed. These areas were not presented for VSP review prior to the installation. This was written on the previous two inspections. 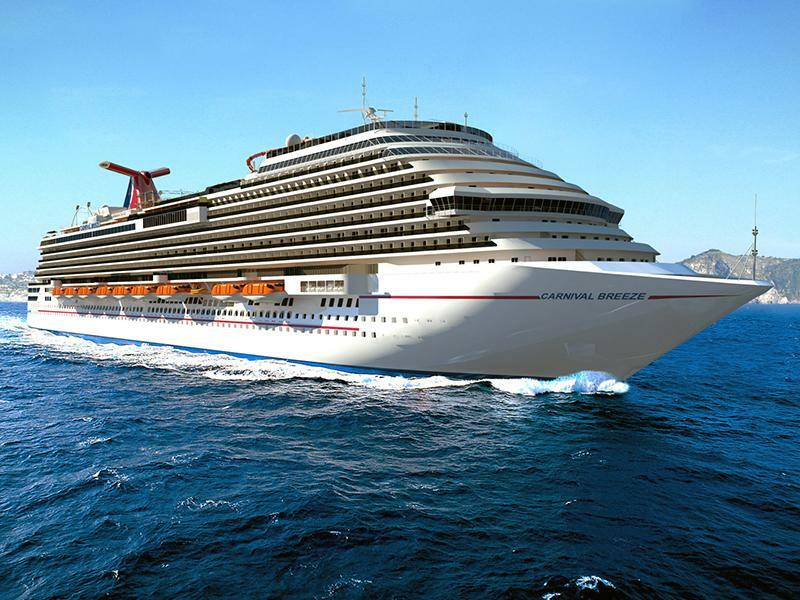 The cruise line has submitted plans with handwashing station locations for VSP to review. The gauge for the hot water sanitizing sink indicated a temperature of 170°F. The temperature as measured by the inspector was 180°F. Calibration of the gauge was begun immediately. A wet mop was stored against a bulkhead, Water was dripping from the mop head and accumulating on the deck. There were gaps around the two bulkhead pipe penetrations behind the shelving unit. This was corrected. A wet wiping cloth was draped over the edge of the sanitizing bucket. This was corrected. The records and procedures for the potable water, recreational water, ventilation, medical center, housekeeping, pest management, and child activity center were organized, thorough, and complete. The light intensity at the aft waiter station could not be raised to 220 lux for cleaning. The uncovered waste receptacle of the handwashing station at the port waiter station had open cartons of milk and cereal. The light intensity at both waiter stations could not be raised to 220 lux for cleaning. There was no coving at the deck/cabinet junctures for the waiter stations or the service counter. Also, the coving at the beverage station was in bad repair. The four ceramic warmers had slotted fasteners on their sides in the food contact area. This was corrected. One of the two previously cleaned food slicers had a heavy build-up of food residue under the slicer's backplate next to the exit path of the food from the slicer blade. Most of the bulkhead-mounted phones had chipped paint and the handsets were soiled with old food residues. The previously cleaned food slicer had a heavy build-up of food residue under the slicer's backplate next to the exit path of the food from the slicer blade. The light intensity at the waiter stations could not be raised to 220 lux for cleaning operations. There was no coving at the service counter and the adjacent waiter station. The light intensity next to the front-loading warewash machine was less than 110 lux. The bottom of the paper towel dispenser at the handwash station was heavily soiled. There was no coving at the back bulkhead of the food employee side. The bottom of the paper towel dispensers at both handwash stations were heavily soiled. There were slotted fasteners on the light fixtures inside the combination oven. This was corrected. There were slotted fasteners in the food-splash zone of the six topping dispensers. This was corrected. Inside the storage cabinets, there were ants on at least two shelves and around the liquor bottles. An open bottle of amaretto had more than 10 ants on it. Inside the storage cabinets, there were ants on at least two shelves and around the liquor bottles. An open bottle of amaretto had more than 10 ants on it. No ants were observed inside the liquor. One ant was next to the blender at the back bar. The deck under the storage cabinets was made of wood. Open bottles were stored inside the storage cabinets. The deck under and in front of the storage cabinets was made of wood. The wood had stains in front of the cabinets with open liquor bottles. Behind the show galley service counter, the paper towel dispenser of the handwashing station was about 10 inches off the deck. The paper towels were slightly wet. The ice machine was heavily soiled with brown material on the cuber area. Staff stated the machine was last cleaned about two weeks ago. The deck behind the right ice cream machine was heavily soiled. Steamed milk on the counter had a thermometer inside reading 100°F. The milk was not on time control. The milk was discarded. Blue Iguana Cantina and Guy's Burger Joint were added during the November 2012 dry dock. Both of these outlets have passenger self-service areas and no passenger handwashing stations were installed. These areas were not presented for VSP review prior to the installation. This was written on the previous inspection. The cruise line had recently submitted plans with handwashing station locations for VSP to review. Two large plastic bins with soiled and slightly wet linen towels, oven mitts, power extension cords, and wet cups were stored on top of over 100 baking sheets. The cups were clean and dripping wet. Over 100 stacked baking sheets were stored slightly soiled with food residue. Three portable griddles were stored in the locker and the food contact surfaces had signs of corrosion. Clean plates were stored inside a large bin along with a large bag of charcoal, a soiled water carafe, and a power extension cord. A water carafe was stored soiled inside a bin with visibly clean plates. More than 40 4-inch hotel pan covers were stored soiled in two large bins. Galvanized shelving was used for the food equipment storage. The Cassalt Room was used for the Chef's Table. A liquid that appeared to be vinegar was stored uncovered in an unlabeled glass inside the waiter station cabinets. The waiter station cabinets had chinaware and condiments such as salt and pepper. A liquid that appeared to be vinegar was stored in an uncovered glass on the same shelf as the chinaware and condiments. A small fly was around the uncovered glass of liquid that appeared to be vinegar. The light intensity at the center waiter station and at the waiter stations next to tables 202, 209, and 240 could not be raised to 220 lux for cleaning operations. One of the upper final rinse nozzles of the in-use flight-type dishwasher was clogged. This was corrected. Water was pooling on the utility sink and the adjacent food preparation counter. There was a water leak from the deckhead light fixture above the utility sink. One small fly was observed in the area over clean utensils placed on a food preparation counter. On the clean storage racks inside the potwash area, at least three hotels pans were stored with food residues and finger marks. Also, on the clean storage racks outside the potwash area, several hotel pans were either soiled with food residue or finger marks. These pans were sent to be rewashed. On the clean storage racks outside the potwash area, several hotel pans had signs of being wiped down, instead of properly air dried. There were slotted fasteners around the light fixtures inside the combination oven. This was corrected. There were at least two ants on the handles of two different tilting kettles. The kettles were in use at the time. Blue Iguana Cantina, Guy's Burger Joint and Cherry on Top were all added during the November 2012 dry dock. Each of these outlets have passenger self-service, but passenger handwashing stations were not installed. These areas were not presented to VSP for review prior to the installation to ensure the areas were properly constructed. The consumer advisory for the omelet station and eggs benedict were located at either end of the service line at the plate dispensing areas, but was not located at the station where these items were ordered and served. This was corrected. There was a gap on the juice machine where the underside panel with the dispensing nozzles met the upper part of the machine. This was corrected. The food worker's toilet room door was not self closing. This was corrected. The deck grout was missing and recessed in front of the kettles. The light intensity in front of the espresso machine could not be raised to 220 lux. There was a gap where the handwashing sink met the bulkhead at the top of the sink. The light intensities at some of the waiter stations could not be raised to 220 lux. The vessel provided documentation of a comprehensive plan for adding lighting and this area was listed on it. At least 18 small, crawling insects were on the bulkhead behind the left tilting pan, on the control box for the left tilting pan, and on the outside of the left titling pan. This pan was out of order, but the adjacent tilting pan had food in it. The pest management technician was called immediately and the food in the adjacent tilting pan was discarded. The area was sprayed and upon reinspection no other insects were found. The profile plate on the right water line below the tilting pans was loose, exposing a gap. Water was pooled under the stainless steel deck in front of the tilting kettle adjacent to the tilting pans. When the grate on top of the deck was stepped on, water came out from a seam in the stainless steel deck. The deck grout was missing and recessed in front of the combination ovens. The vessel had a plan for deck maintenance and this area was listed on it. The vent was leaking continuously on the backflow prevention device on the potable water line for the top combination oven next to the potwash machine. The vent was leaking continuously on the backflow prevention device on the potable water line for the bottom combination oven next to the deep fat fryer. The devices were replaced. One stack of plates out for service for the hot line was not inverted or covered. This was corrected. The bottom of one of the legs on a deck stand was placed directly against a box containing mascarpone cheese containers. The deck stand was immediately removed. Two containers of drink mixes that were removed from their original containers were not labeled. This was corrected. The paper towels at the handwashing station were wet. This was corrected. There was no paper towel dispenser for the handwashing station. The area was closed during the inspection. All the records reviewed today were thorough, organized, and correct. All crew members the inspector interacted with today were knowledgeable in their respective job duties. The ice machine was leaking on the bottom of the back right corner of the machine causing water to pool on the deck. An assistant waitress who was listed on the AGE log as a reportable case had AGE symptom onset on 9 June at 0200 but did not report to the medical center until 10 June at 0815. The vessel provided documentation that she did not work during this time period. The vessel also provided documentation that the assistant waitress was retrained. There was one crew member on the 19 to 26 May cruise and one crew member on the 26 May to 2 June cruise that were listed as nonreportable AGE cases on the surveillance log. However, the follow-up in the electronic database indicated that they were still having symptoms, but there was no additional information about what those symptoms were or whether they should be considered reportable cases. There were several food items stored on a shelving unit in this locker, including 6 boxes of packets of sugar and artificial sweetener, one half case of water, a large plastic bin with boxed tea bags, and 7 bags of ground coffee. The shelving unit was galvanized steel and had many difficult to clean features. In addition, raw wood was used on the top of the shelving unit and the bulkhead as bracing pieces. The food was immediately moved to the adjacent pantry. There were several food items stored on a shelving unit in this locker, including 6 boxes of packets of sugar and artificial sweetener, one half case of water, a large plastic bin with boxed tea bags, and 7 bags of ground coffee. There was no coving at the deck/bulkhead juncture. The food was immediately moved to the adjacent pantry. There was no handwashing station in this area. Staff in this area served candy items such as fudge and truffles, and they also restocked the self-service candy bins. A food slicer stored clean with plastic wrap protecting it had a grease film on the recessed area at the bottom of the back plate. This slicer was cleaned again by the crew while the inspection team was in the area. Old food splash was noted at the seam between the backsplash of the preparation table and the adjacent bulkhead in the back left corner of the preparation room. This area was cleaned again by the crew while the inspection team was in the area. Old food soil was noted in the area where brackets for a previous piece of table mounted food equipment had been placed. This area was cleaned again by the crew while the inspection team was in the area. Old food soil was found in a bracket seam below the bottom of the door of the rolling hot food unit #24. Condensate was collecting on the inside of the ventilation hood and on the bulkhead behind the in-use right deep fat fryer. The ventilation system was shown to be operating but was not effectively removing the moisture from this air stream. At the other end of this cook line, the ventilation system was removing the steam coming from an open tilting skillet cooking at a full boil. Standing water with food residue was noted in it in the back left corner of walk-in cooler #45. This area was cleaned by the crew while the inspection team was in the area. The valve from a fixed kettle (N3) could not be disassembled by the crew for cleaning. The valve from a fixed kettle (N3) was found soiled with old food residue when the entire valve assembly was removed from the kettle for inspection. The handwash sink in the dishwashing area was out of paper towels. The area was not open at the time of the inspection. Condensate was leaking behind the bulkhead-mounted flat evaporator and pooling on the deck. Two of 3 attachment screws for this pan were missing creating an open seam behind the condensate pan where the moisture was escaping collection. Soil was noted on the bottom of the two grooved grills in the splash area above the grease catch pans. Condensate was collecting on the inside of the canopy and running down the back bulkhead on the soiled end of the automatic potwashing machine. Sediment was noted in the recirculating water bath of the ice machine. The machine was cleaned immediately. A crew member was observed putting soft vanilla ice cream from the dispensing unit into the spout of an open carton of milk. It was not determined whether the crew member had been previously drinking directly from this spout. Milk had also been spilled by a crew member all over the dispensing area of an adjacent out of service ice dispenser. A 10-inch icicle had formed from a leak in the front left corner of a hatch above the cartons of frozen shrimp. A small amount of ice had puddled on a carton of shrimp. Half a case of purple cabbage left over from the last voyage and placed in a white plastic storage box had mold and rotting leaves on almost all of the heads. One box of the green cabbage examined out of three also had mold and decomposing leaves on many of the heads. All of the cabbage left over from this voyage was removed and discarded. In the main, crew, and lido galleys, some of the undercounter refrigerator doors were warped at the bottom and there were large gaps where the bottom of the doors did not seal to the frame. The vessel had identified additional doors with this problem and the doors were in the process of being repaired. The ship had excellent documentation for a major replacement program was in progress. No adverse temperatures were noted in potentially hazardous foods stored in these units. There was a bracket seam below the bottom of the door of the rolling hot food unit #24. A tray of top round beef was stored under several trays of ground beef. The top round beef was moved. The three pallets for bottled water were made of raw wood. The drain line for the dipper well was not directed to the scupper. This was corrected. In the main, crew, and lido galleys, some of the undercounter refrigerator doors were warped at the bottom and there were large gaps where the bottom of the doors did not seal to the frame. No potentially hazardous food was impacted. This was written on the previous inspection. The vessel had identified additional doors with this problem and the doors were in the process of being repaired. Documentation was provided for an order of two additional doors to expedite the repair process. Water was leaking from the bulkhead to the deck behind the ice machine. The backflow prevention device for the counter ice/water dispenser was leaking from the vent. The device was replaced. The faucet was leaking on the bucket fill tap below the handwashing station by the potwash clean storage area. This was a corrected. There was a leak from the bottom of the combination oven directly across from the handwashing station. The panel on the underside of the combination oven across from the handwashing station had a loose fastener and part of the panel was on the deck. The lights on both levels of the two-level salad bars were not installed yet. The light intensities were less than 220 lux. The salad bars were added during the dry dock just prior to the inspection. The light intensity behind the cappuccino machine was less than 110 lux. There was condensate on the deckhead above the soiled end of the conveyor dishwash machine. There were holes in the door where the locking mechanism was missing. The scupper drain below the countertop cold well near the walk-in refrigerator was clogged. This was corrected. The deck grout was chipped. Several of the deck tiles were cracked and one tile was missing. The inside of the ice-making compartment of the ice machine was slightly soiled. The inside of the plastic cover for this area panel was slightly soiled. The outside of the plastic cover for the ice-making compartment of the ice machine was slightly soiled. Two large boxes of flowers were stored on top of 12-packs of canned soda in the walk-in refrigerator. Water was dripping from the deckhead in several locations just outside the wine cellar. A leak in a water line was located once a deckhead panel was opened. Several pieces of food service equipment, pans, utensils, and dispensing containers were stored in this room. The deckhead was unfinished and there were exposed duct work and cables. The equipment, pans, utensils, and dispensing containers were stored mingled with, on top of, and below several nonfood service items, including paperwork, binders, ice carving tools, and wax for decorative displays. According to the staff, all of the equipment would be cleaned and sanitzed before use and there was a sign in the room indicating this. Twenty-four boxes of wine were stored directly on the deck in this room. The deckhead was unfinished and there were exposed duct work and cables. Food and food service equipment were stored in this room. The deckhead was unfinished and there were exposed duct work and cables. A large fly was just outside the pastry. The fly was killed. Water was dripping from the deckhead panel near the handwashing sink and the edge of the exhaust hood. Water was dripping from a deckhead panel to soiled dishes below. This area was not in use. The light intensity behind the equipment was less than 110 lux. The bread on display for self-service was not under a sneeze shield. This was corrected. In addition, cakes and cookies on display behind the bread were not for self-service, but were within one meter of where passengers could stand. There was dust between the deckhead slats above the clean glasses. A bowl of cookies was not completely protected by the sneeze shield. The cookies were moved. The light intensity was less than 220 lux. A crew member was observed stacking soiled trays on top of uncovered pans of fish and batter that were to be cooked in the adjacent fryer. Six bowls of salads and garnishes on display were not protected by a sneeze shield and were within one meter of where passengers were standing. A portable sneeze shield was added. The light intensities behind the upright combination ovens and the two-deck combination ovens were less than 110 lux. The light intensities behind the two-deck combination ovens were less than 110 lux. 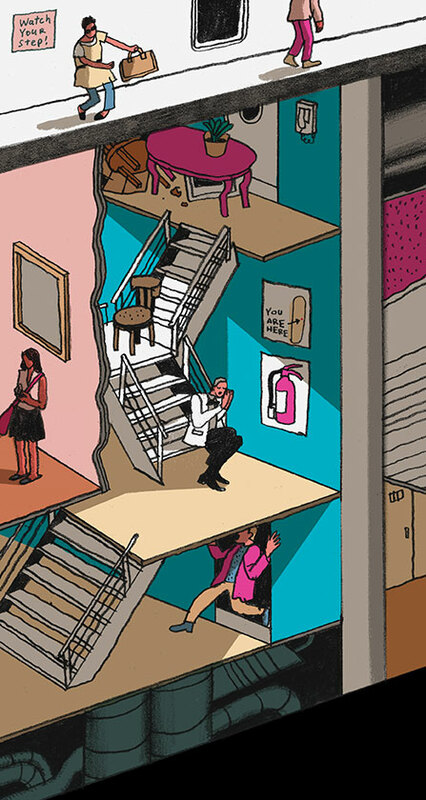 Three boxes of ice cream cones were stored on a shelf next to two first aid boxes. The cones were moved. A bucket of crispy potatoes on the toppings bar was not under a sneeze shield. This was corrected. The exhaust hood for the in-use grills was not working. Condensate was collecting on the underside of the shelf above the grills. The crew member cooking the burgers was sweating and the entire area was filled with grease and odors. Several staff members were already working on diagnosing the problem with the hood when the inspector arrived. The storage shelf holding a stack of trays used for serving burgers was covered with a thin film of grease. The other shelves on this rack also were covered with a thin film of grease. A wet wiping cloth was stored at the handwashing station. This was removed. Condensate was on the deckhead above the combination oven. The exhaust hood above the oven was not working. Several staff members were already working on diagnosing the problem with the hood when the inspector arrived. The faucet was leaking on the bucket fill tap below the handwashing station near the entrance. The light intensity behind the combination oven was less than 110 lux. The data plate on the rack conveyor warewash machine indicated the conveyor speed in racks per hour instead of minimum transit time. This was corrected. The deck grout was chipped in a few areas. A stack of beer buckets were stored directly on the deck. The deckhead covering over the worker side of bar was made of soft cloth. The thermometer used to monitor the internal incubator temperature was not accurate. The incubator thermometer measured a temperature of 31°C while the inspector's thermometer measured 35°C. The chain for the lower left bunker cap was not attached and the cap was on the filling pipe during bunkering. The bottoms of both hose storage lockers were soiled with dirt and other debris. No hoses were stored in these lockers because bunkering was taking place at the time of the inspection. There were no safety sings posted for the RWFs. New signs that complied with the 2011 VSP Operations Manual were on the vessel but had not been installed yet. According to staff, they would be installed in the next few hours. The OPRP did not indicate a contact time for the HB Quat used to disinfect public surfaces and cabins. Also, there were no concentrations for the vital oxide sanitizer used to disinfect case cabins or for fogging. The bottom of the filter compartments for both units in this room were soiled with rust deposits and dirt debris. There was black granular powder along the length of the left white plastic water return tray immediately below the ice cubers of the ice machines located in the deck pantries across from cabins 10-61 and 9-267. A soiled and damp wiping cloth was stored in an empty bucket. The light intensity was less than 110 lux around and behind the deck-mounted ice machine. A chef had gastrointestinal illness symptoms onset on 03 MAY 2012 at 0900. He first reported to the medical center on 05 MAY 2012 at 1617. Fleet is developing recreational water facility signage that complies with the new requirements in the 2011 VSP Operations Manual. Current drains do not comply with the 2011 VSP Operations manual in regard to antientrapment design and marking specifications. New compliant drain covers are on order. The Outbreak Prevention and Response Plan (OPRP) available on the ship was a fleet developed plan dated 2008. It does not meet the new requirements in the 2011 VSP Operations Manual. The informational letters mentioned in the previous inspection and instructions need to be provided. The disinfectant chemical listed in the current plan has been replaced by a new disinfectant. Procedures to elevate and decrease the levels of response are known by staff, but are not part of the plan. Wiping cloth bucket at the handsink had a concentration of significantly less than 50 PPM minimum required. Two-door undercounter refrigerator (JC30218) had ice buildup on the interior of the right compartment. The door gasket in this area had a gap that may be allowing humid air to enter the unit. Dust accumulation was noted on the flower-shaped light fixtures over the back bar area. In a rack of clean glassware, a glass was found with lipstick on the rim. An undercounter dishwasher that had been operating was tested four times and found with a maximum wash temperature of 125°F and a maximum final rinse temperature of 132°F. The temperatures are normally checked during the show lounge pantry operations setup in the evening, though the bar staff utilizes the pantry during the day. The water supply line to the ice machine had a continual leak to the deck. The plastic storage bin on the ice machine had a rough difficult to clean surface at the seam along the top of the machine. The gauge for the hot water sanitizing sink temperature registered 184 °F, but a direct measure of the water temperature registered 175 °F during active use. Live fruit flies were observed mostly on the deckheads in multiple food areas, and particularly in the crevices between deckhead panels where a soil residue was observed. 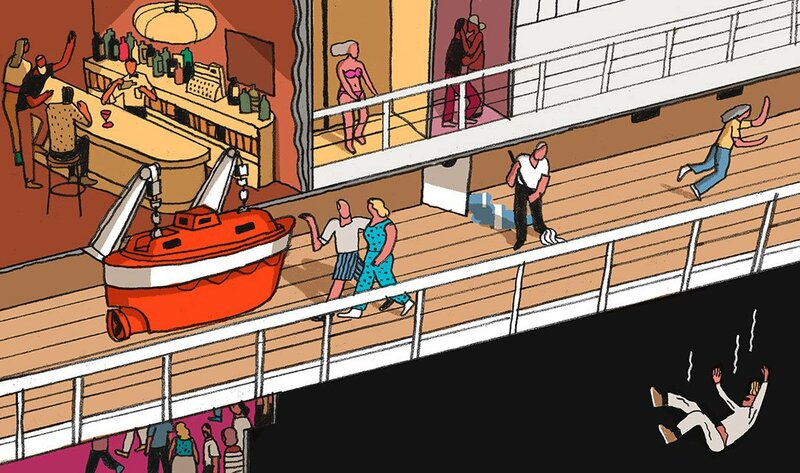 They include: main galley - forward corridor to bakery (3 flies), Renoir dining room service bar (2), aft wine pantry (1), appetizer pantry (1), forward Renoir dining room waiter and juice station (2), crew galley at ice machine (1), lido buffet pantry (3), steakhouse grill front counter (1), and Mongolian pantry (1). The artificial light level was below the minimum 110 lux behind and beside ice machines in all the housekeeping deck pantries and the ice machine in the room service pantry, the Renoir Dining Room Service Bar, and the ice machine in the main galley next to the chef's office. Additionally, artificial light levels were below 110 lux behind the various combination ovens in the main galley center, vegetable and soup, and the Steakhouse Galley. A dead fruit fly was observed in a partly filled bottle of rum. The rum was discarded immediately. The in-use glasswash machine had a dish level final, hot water-sanitizing rinse temperature of only 150-155 °F. Staff repaired the machine during the inspection. The in-use flight-type conveyor dishwash machine had a poor upper spray arm pattern for the auxiliary rinse, where from each nozzle the water flowed in a single stream, which did not cover the entire surface of the dishware passing below. In that same machine there was no observed final rinse from the upper final rinse spray arm. Upon further investigation the spray arm was installed upside-down. This machine was repaired during the inspection. A small white insect was observed crawling on the deckhead crevice where a profile strip joined two panels together over the center counter in the bakery. The flight-type conveyor potwash machine was out of order. The area was overwhelmed with soiled equipment, pots and pans, as staff used the 3 compartment sinks for pot washing. Several of the undercounter two and three door reach-in refrigerator doors had a large gap present along the lower half of the door and the door frame, where it appeared the doors were warped. These were located in the main galley - center vegetable section (refrigerator 40), soup section (refrigerators 38 and 39), function section (refrigerators 36 and 37), and the center door of refrigerators 16 and 17 in the crew galley. Several previously cleaned bowls in a four bowl trolley were found heavily soiled with food residue and large food particles. A four plate trolley in the same area had a few previously cleaned plates that were soiled with visible food particles. All trolleys were removed to re-clean dishware. The interior surfaces of the plate trolleys holding soiled bowls and soiled plates were themselves soiled with visible food particles. Both were returned to the dishwash area for re-cleaning. There was heavy dust soil on the decorative deckhead over the counter and juice machine. Additionally there was visible drink residue on the decorative deckhead surface as well as the smooth deckhead over the beverage counter. Live fruit flies were observed on the deckhead where this soiled splash was present. The chlorine sanitizing solution was measured at 400 ppm free chlorine. This area was in full preparation at the time of inspection. Staff diluted the chlorine concentration immediately. The in-use three compartment sink had a hot water-sanitizing gauge temperature of 191 °F, but the water temperature measured 178-180 °F using both the inspector's and the ship's manual thermometers. The electronic database for medical recordkeeping cannot produce a standardized AGE log exactly as provided in annex 13.2.2 in the VSP Operations Manual 2011. The electronic database used for recording GI illness cases is loaded with the old definition of a GI case. This is presented in the log-on start up screen. Additionally, the system does not permit persons with less than 3 loose stools in 24 hours to be reported as a GI case, unless vomiting or fever symptoms are reported as well.. This system does not permit individuals with pre-existing medical conditions to be non-reportable for GI illness purposes if they have 3 or more diarrheal episodes in 24 hours, which conflicts with the VSP Operations Manual 2011 under section 4.1.1.1.1. The electronic system for GI recording did not have an update function for the many crew cases who reported a final GI illness symptom after their initial medical visit. In two such cases the crew were isolated as would be done for a case, but were listed in the database as non-reportable. In both cases a final episode of diarrhea was reported after treatment with anti-diarrheal medication. The database allows only for vital signs to be entered as a case is updated and has no option to then re-consider the individual as a case. Although the document onboard was a new draft document only, there were several areas where the data did not meet the requirements provided in section 9.1.1.1.5 of the VSP Operations Manual 2011. In most cases the chemical for disinfection was listed for specific applications of elevated GI illness, but the concentration and contact time were not. 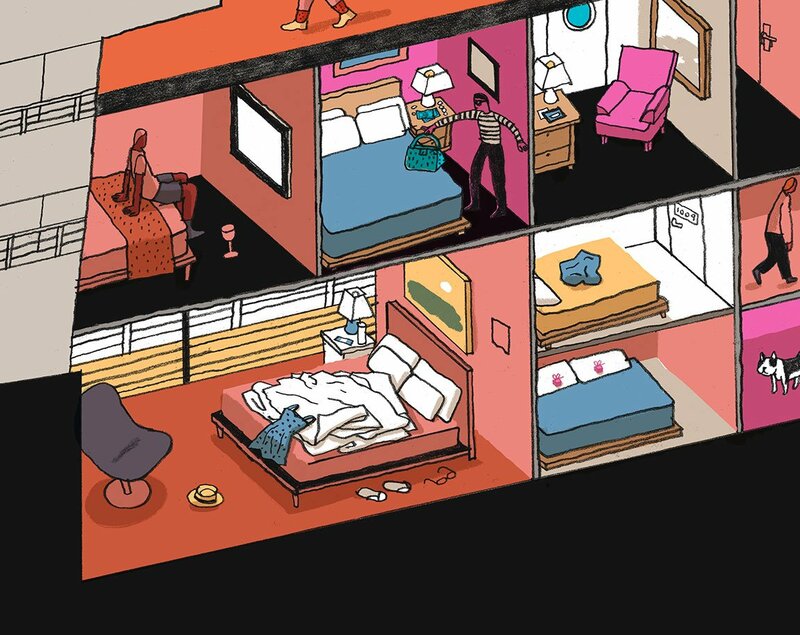 Additionally, in many food related areas such as galleys, room service, lido buffet, supper club and bars there were statements that 1,000 ppm chlorine was to be used on all non-food contact surfaces, or in sanitizing buckets, tongs for food or ice, and these are areas where 50-200 ppm chlorine is the limit. The draft OPRP also stated that example letters were attached to advise onboard guests of a GI illness outbreak and other letters to advise embarking guests of the GI outbreak on the previous voyage, but neither was available for review. Lastly, in many of the department level procedures for cleaning and disinfection, the plan indicated a time period of 30 minutes, hourly, or frequently during a GI illness outbreak. There were no signs posted advising passengers to wash their hands in nearly all the public toilets. The dual basin play room handwashing sinks for children were over the maximum height of 22 inches and no step stools were provided. Although electronic analyzers, recording charts, and low/high level pH and halogen alarms were installed on the pools and whirlpool spas, these were located after the compensation tank for each unit. None of the new sign content required in section 6.7.1.1.1 or 6.7.1.1.3 of the 2011 VSP Operations Manual were provided at any of the pools or whirlpool spas onboard. Staff were not equipped with a pool test kit to monitor total alkalinity in any of the RWF's. Additionally, staff did not monitor for water clarity. The turnover rates for each RWF were not yet calculated and there was no calculation for bather load at each RWF onboard. There was no documentation provided for the drain covers in the children's pool or whirlpool spas to verify they meet the requirements detailed in section 6.7.1.2.2 of the 2011 VSP Operations Manual. The dual gravity drains in the swimming pools have non-compliant covers and no alarms installed to date. The back of the handles of the tilting kettles and pans had a open seam that was difficult to clean. Some had the opening sealed but with peeling sealant. Some were scratched and scored. This was observed in all galley areas. These conditions make these handles difficult to clean. There was no time control plan for the milk used with the espresso machine. The staff explained that the milk is on time control. The light intensity over the in-use port and starboard ice cream stations was less than 220 lux. After the inspector brought it to the staff's attention, the deckhead lights were turned on. Also there was one deckhead light that was not working and it was replaced. The ambient temperature was 50°F. No potentially hazardous foods were stored inside. A squeegee was stored between the bulkhead and the deck stands. The squeegee was removed. The light intensity over the beverage side stands with milk, cream, and sugar was not 220 lux. The deck at the galley port entrance was heavily soiled with dirt. There were around six ants on the bulkhead next to the knife storage locker. A fly was also found in this area. During the active use of the flight-type glasswasher, two of the auxiliary rinse upper spray nozzles were clogged. This was corrected during the inspection. The decks and door tracks of the food transportation lifts were soiled with an accumulation of debris. The elevators dedicated for food transportation were used for transporting garbage and waste products. The crew members transporting garbage in the food elevator remained inside until the inspector brought it to the staff's attention. The garbage was taken out of the elevators and the crew members were instructed by the staff not to use those elevators for garbage anymore. Upon re-inspection of the area nearly 10 minutes later, there were around 6 crew members waiting in front of the food elevators to transport uncovered garbage and waste bins, making theese food elevators subject to splash and soilage. There was a heavy accumulation of black powder and a screw in the water bath under the left cuber panel. The staff stated that the last cleaning was about 2 weeks ago. There was a heavy accumulation of black powder in the water bath under the left cuber panel. The staff stated that the last cleaning was about 2 weeks ago. Around the ice bin door hinges of the ice machine was soiled with a black debris build-up. The deck and door tracks of the food transportation lift were soiled with an accumulation of debris. Two wet wiping cloths were stored in the undercounter cabinet next to undercounter refrigerator #21. This was corrected. The wheels of the three upright trolleys were heavily soiled with dirt and grease. The wheels were soiling the deck. The deck was soiled with dirt and grease. A case of several units of packaged coffee and 4 liquor bottles were stored in a locked cabinet along with nonfood items. This was corrected. The door of the cabinet where a case of packaged coffee and 4 liquor bottles were stored along with nonfood items was soiled with dust. The wheels of the warmer cart were heavily soiled with dirt. The deck was soiled with dust. There were table tops stored directly on the deck under the deck stands. There were candy and liquor bottles stored along with menus and other nonfood items. The wheels of the upright carts were heavily soiled with dirt. A tray with fanny packs was stored on top and in direct contact with previously cleaned and sanitized wine glasses. This was corrected. The handwash station next to the cleaning materials locker was blocked by a mop and mop bucket. This was corrected. There were cases of jelly partially blocking the evaporative condenser fan, preventing efficient air flow around the room. A large can of artichokes stored on the deck stands was dented. The can was removed to the refused products area. This ship has a variance for the storage of hand sanitizing products in the same storage area for consumable alcoholic products. even though procedures were followed, the staff did not have the variance approval letter. Two light fixtures were not working. The light intensity inside the walk-in cooler was less than 110 lux. One light fixture was not working. The light intensity inside the walk-in freezer was less than 110 lux. The milk in the coffee machine was on time control and was labeled to be discarded after 12 hours of placement on time control. It was labeled with a set up time of 10:00 am and a discard time of 10:00 pm. The deck and bulkheads were soiled with dirt. This was corrected. Numerous clean and soiled galley utensils were stored in this locker. A bottle of cleaning solution and a bottle of degreaser were stored along galley utensils in this locker. Two light fixtures were not working. The light intensity inside the locker was less than 220 lux. This was corrected. There was no serving utensil for a bowl of cottage cheese. This buffet line was open for service at the time of the inspection. This was corrected. There was heavy condensation on the deckhead over the soiled landing of the in-use flight-type dishwash machine. The condensation was dripping on the soiled end. There was heavy condensation on the deckhead and bulkhead over the in-use pasta boilers. The condensation was dripping through the bulkhead and in front of the boilers. The ice inside the ice chest was unprotected while the bar was open. The lid was in the open position. There was an accumulation of ice in the handwash sink. There was recessed deck tile grout in various areas of the galleys, allowing water to pool between tiles. The ship has a detailed deck reconditioning plan with records documenting completed and pending areas. The wheels of the upright trolleys stored in walk-in coolers and freezers, were damaged and difficult to clean. The wheels of the warmer stored in the Renoir dining room were also damaged and difficult to clean. A work order was in place for new wheels. There was a significant amount of egg remnants in the handwashing sink behind the service line. Serving utensils were not provided for two plates of cheese on the passenger side of the serving line. The wash compartment of the conveyor warewash machine was measured at 164°F by the inspector's thermometer. However, the digital temperature gauge on the warewash machine indicated a temperature of 174°F. Both temperatures were above the minimum temperature requirement on the data plate. The housing around the two grease pans for the Eber Glo grill had several hard to clean areas. Staff has an extensive cleaning schedule in order to properly maintain this piece of equipment. Staff stated that they are working with the company to purchase a new, easier to clean grill. There was a small amount of grease and food residue around the threaded screws of the right grease pan housing of the Ember Glo grill. The bulk milk dispensing tubes for the regular milk and the half and half containers were greater than one inch in length. This was corrected during the inspection. There were two small flies between the conveyor warewash and the glasswash machines. There was excessive condensation collecting on the deckhead and adjacent bulkhead of the soiled side of the in-use conveyor warewashing machine. The temperature of the pre-wash tank was 164°F as measured by the inspector's thermometer. However, the digital temperature gauge on the warewash machine indicated a temperature of 193°F. Three pans of raw ground beef patties were stored above one pan of raw stew beef. This was corrected during the inspection. The water line for the coffee machine was too long and had been coiled in the middle. The coiled area was on the counter. Also, the line was made of braided stainless steel. The records indicated that potable water tank 4 center was last cleaned and disinfected on 5 September 2009. Two tank inspections without entry into the tank were documented since 2009, including one on 27 August 2011. In the technical compartment below the small espresso machine, the support brace on the left side of the compartment was loose and the sealant that had been used to attach the brace was peeling. Above the area where coffee is made, there were pipes that were difficult to clean. The company has been working with the manufacturer to resolve this condition. Below the point of sale station on the far end of the bar, there was paperwork stored on a shelf on the left side of the cabinet. The pour spouts from the open bottles in the right side of the cabinet extended above the shelf and immediately adjacent to the paperwork. The paperwork was moved during the inspection. A cabin steward had onset of signs and symptoms of Acute Gastrointestinal (AGE) illness on 4 June 2011 at 1200. The steward reported to medical on 4 June 2011. According to the electronic database, the steward was isolated starting on 4 June 2011. Notations in the steward's chart stated the steward had signs and symptoms on 7 June 2011 and also reported to work on 7 June 2011. The final notation in the steward's record show a release date to work on 8 June 2011. A bartender had signs and symptoms of Acute Gastrointestinal (AGE) illness on 17 June 2011. The bartender reported to medical on 17 June 2011 at 1219. The notations in the electronic database show that the bartender returned to work on 19 May 2011; however, the final isolation date was 22 May 2011 at 1219. According to the Fun Time records, the bartender was isolated effective 18 May 2011 at 1206. An assistant lido cook had onset of Acute Gastrointestinal (AGE) illness on 18 May at 0900. The cook reported to medical on 18 May 2011 at 1855. According to the Fun Time records, the cook had reported to work, but notations in the same record indicated the cook was on medical leave, but it was not clear if the cook worked a partial shift. On 30 April 2011, an Entertainer had onset of signs and symptoms of Acute Gastrointestinal (AGE) illness. The entertainer reported to medical on 2 May 2011. According to the electronic record, the employee was released from isolation on 3 May 2011 at 0814. According to the Fun Time Report, the entertainer had work hours reported, but no notations indicated the entertainer was medically isolated. Gouges and excessive wear to pusher/press plate made cleaning difficult. In addition, the interior surface of the slicer had numerous gouges that made cleaning difficult. Small food particles soiled the previously cleaned circular cutting blades of the slicer. In addition, small food particles soiled the interior of the previously cleaned slicer. Small food particles and a human hair soiled the food contact surface of the ice machine door interior. Food debris and fibers from a cleaning pad soiled the mixer guard. A light-type fly trap was located above the service counter. Plastic was peeling from the food guards, which made cleaning difficult. A sticky residue soiled the glass and protective plastic covering of the food guards. Numerous cracks were observed along the bottom and sides of a previously cleaned plate trolley. Food particles, grease and other residue soiled the previously cleaned plate trolley. Previously cleaned plates were stored in the previously cleaned plate trolley that was soiled. White deposits, grease and small food particles soiled the underside of the stainless steel shelf mounted above the baines marie. Grease and small food particles soiled the two previously cleaned grooved griddles. Grease deposits and food residue soiled the front and sides of the grooved griddles, especially behind the removable drip pan housing. Grease deposits soiled the drain lines of the previously cleaned deep fat fryers. Numerous green trays used as food contact surfaces had cracks and other features that were not easily cleanable. Numerous food items such as baked pastries were stored directly on cracked tray surfaces. Numerous green trays used for food contact surfaces had light accumulation of soil, especially in the cracks. Numerous trolleys of soiled dishes were observed immediately adjacent to the out-of-service warewash machine. Several baskets of soiled plates were observed stacked directly on the deck and immediately below the pulper. Four plate trolleys had cracks and rough surfaces that were not easily cleanable. Grease and small food particles soiled the shelf and backsplash immediately above the refrigerated condiment basin. Small food particles soiled previously cleaned plates and plate covers inside a plate trolley. The sanitizer solution did not have any measurable level of sanitizer. The recorded manual test halogenation concentrations for all the pools and whirlpool spas were not accurately recorded in the log. In each case the value written was exactly 1.0 or 2.0 for the swimming pool chlorine residuals and 4.0 or 6.0 in the whirlpool spa bromine concentrations. The in-use ice machine had an accumulation of a black debris in the water bath below the left and right cuber panels. A continual water leak from the deckhead access hatch in front of the walk-in refrigerator #52 was observed. The in-use ice machine had an accumulation of a black debris inside the water bath for the right side cuber panel. A cook was observed moving pieces of chicken breast being cooked on the grill to a hotel pan. The inspector asked a chef supervisor where this pan was to go next and was advised it would have sauce added and be put on the serving line. An internal temperature was taken of the 4 pieces of chicken in this pan and only one was above the minimum cook temperature of 165 °F, while the others were between 120 and 138 °F. The pieces were returned to the grill to finish cooking. A second chef supervisor advised this chicken was to be covered in sauce and placed in the oven to finish cooking. The oven in question was evaluated and the no other pans of chicken breast were inside and another cook was questioned about the placement of the chicken in the oven, but stated that it is covered in sauce and placed on the serving line, with no further oven cooking step. This buffet line was approximately 10-15 meters long and no staff were monitoring the area for several minutes during full passenger use of the line. There was an excessive amount of soiled dishware filling all soiled landing counters, extra tables, and trolleys rolled in to the soiled side of the operation. Wait staff were observed standing in a line with soiled dishware in hand and on trays waiting for a place to leave the items. Staff stated that some of the soiled items were from the morning breakfast service, and that many of the cups were not cleaned due to a failure of the glasswashing machine last night. The glasswash machine was in disrepair and had been in this condition since last night. Three of 7 upper spray arm nozzles for the auxiliary rinse of the in-use conveyor dishwashing machine were fully clogged during operation. Additionally, there was a heavy water leak from a position near the gap where the side door upper locking pin inserts inside the machine. Finally, the wash water gauge registered 141-151 °F, but a wash tank temperature taken manually was 172 °F. Four hotel pans filled with meat sauce for pasta were found inside the Combitherm oven and the oven was off. A food temperature was taken in all four pans and the range was from 77-80 °F. The pans had 7 day discard dates on them and staff stated the sauce was to be added to the pasta and re-heated as each batch of pasta was finished cooking. The start time of the meat sauce in the oven was within 4 hours, but the oven was not on time control according to staff. The housing around the two grease pans for the Ember Glo grill had large gaps around the entry and in the rear section of the housing where proper cleaning was difficult. On 23 May a short section of distribution system piping with a valve were replaced. Per staff, the pipe and valve were immersed in a bleach solution and then rinsed with potable water. The chlorine solution concentration was not determined and there was no record of the contact time. In addition, the repaired line was not flushed with potable water prior to returning to operation. On 23 May a short section of distribution system piping with a valve were replaced. Per staff, the pipe and valve were immersed in a bleach solution and then rinsed with potable water. There was no documentation of the disinfectant concentration and contact time or that the system was flushed with potable water until the free halogen residual was below 5.00 PPM. The internal air-gap for the high pressure wash system used to clean the potable water tanks was not on the listing of cross-connections and the backflow prevention or method for each. The drain covers did not fit the flanges in these units so that the manufacturers fasteners could not be used. The staff attached the covers using fasteners that could not be recessed, creating a hair entanglement hazard. The four front side covers were missing. This unit was not in service and a work order was in place to repair and install new covers. The corner of the bulkhead tiles were damaged just above the cove tiles across from under counter refrigeration unit #80. The deck in the ice/water dispenser technical space was generally pitted and was damaged around the scupper drain juncture. There was excess grout on the deck tiles around the equipment support legs. The deck below the cold top was soiled with old food debris. This was corrected. The deck below the elevated ramp floor and below the adjacent under counter refrigeration unit was soiled with water and old food debris. This area had previously been cleaned. This was corrected. The floor of the starboard plate warmer was soiled. There was insufficient lighting at the port and starboard ends of the service lines. Condensate was collecting in the light fixture seal above the rinse compartment of the 3-compartment sink and dripping into the cover as well as into the rinse sink. The deck drain was clogged below the service line handwash station. This was corrected. There were passengers seated in 20-25 tables in the Renoir dining room with previously cleaned silver and china set inverted at the tables throughout this dining room. There was no monitoring to ensure they were not handling these clean items, and the inspector saw at least one passenger making hand contact with a plate during his review of the area. There was a heavy dust debris present along the gap between the deckhead panels above all the pantries and beverage stations in this dining room. There was an open end of a pipe which penetrated the deck in the undercounter technical compartment beneath the utility sink in the #5 pantry. In this same compartment there was an open void surrounding the green power cable which was installed inside a stainless steel conduit pipe. These were corrected during the inspection. There was a peeling mold soil present along the section of chilled water pipe insulation in the undercounter technical compartment beneath the utility sink in the #5 pantry. The power cables to the two coffee grinders mounted on the port and starboard beverage counters were draping the counter top making cleaning difficult. Staff corrected these during the inspection. There was an open hole in the rear panel of the undercounter technical compartment beneath the espresso machine, where a power cable was once connected. Additionally, there was a rubber conduit in the technical compartment which was hanging off of one connecting end at the rear panel, leaving a gap and allowing insect access to the conduit. These were corrected during the inspection. There were slot-head screws fastened to the underside filter for the Scharf espresso machine coffee group connection. Staff stated that this issue is known and being reviewed with the manufacturer. One drain fly was noted on the dough sheeter surface in this area. There was no work on this piece of equipment at the time of inspection. During active use of the flight-type conveyor dishwashing machine the spray pattern for both the rinse and final rinse upper spray arm nozzles was poor, in that the pattern of the water spray was a direct vertical stream with gaps between each, rather than a fan pattern which covered the entire surface of the dishware and left no gap across the chamber. The in-use flight-type conveyor dishwasher was operated at temperatures which appeared to be too high. The manufacturer's data plate did not specify some temperatures and did not include an upper limit, but the gauges registered 156 °F in the pre-wash tank, 166 °F in the two wash tanks (150 °F required minimum), 176 °F in the rinse tank (160 °F required minimum), and the final hot water sanitizing rinse manifold temperature was 214 °F (180-194 °F is the required range). Steam was noted rolling out of the entry to the machine and through the top of all the chambers leading to the dryer section in the end, and the worker loading the machine and the worker taking clean plates out of the end during the inspection were both perspiring profusely around their head and neck. One filth fly was noted in this area, which was not in active use during the inspection. There was food residue and some food debris noted along the clean pot racks within the potwash area. There were clean pots, pans, and utensils stored on these racks. Additionally, there was food residue and food debris present along the clean pot racks along the port forward bulkhead just outside of the pot wash. These racks were also filled with clean pots and equipement. The thermometer on the hot water sanitizing sink registered 189 °F, while a direct water temperature measure by the inspector revealed the water temperature in this sink to be only 175 °F. The wash cycle pressure was only 30 psi during active use of the stationary rack pot wash machine. The machine data plate specified the wash cycle pressure to be a minimum of 35 psi. The area around the grease pan housing section of the Ember Glo grill were filled with difficult to clean gaps and crevices. The final hot water sanitizing rinse manifold temperature was 214 °F (180-194 °F is the required range). Steam was noted rolling out of the entry to the machine and through the top of all the chambers leading to the dryer section in the end, and the worker loading the machine and the worker taking clean plates out of the end during the inspection were both perspiring profusely around their head and neck. There was a damaged profile strip near the menu room, making cleaning difficult. There was some recessed grout in this area, especially around the portside scupper. There was standing water in the recessed areas. There was recessed and missing grout around scuppers and between deck tiles. The technical compartments of the deep fat fryers were soiled with grease. It was apparent the the units had been previously cleaned. There were missing fasteners on the underside of the deep fat fryers, leaving gaps. making cleaning difficult. The underside of the deep fat fryers were slightly soiled with oil. The equipment was previously cleaned. There was recessed and missing grout in this area, especially around scuppers and under equipment. There was standing water in the recessed areas. There were two previously cleaned wine chillers found soiled and stored on the clean storage rack. There were loose fibers along the edges of the cloth belt of the dough sheeter. There was some recessed grout between deck tiles in this area. A few of the waiter trays were damaged along the edges, exposing fibrous materials, making cleaning difficult. Bread and pastries were not under the sneeze guard. The handwash station was blocked by large cans. The deckhead above the bar was soiled. The sanitizer concentration in the sanitizer container measured greater than 200 ppm. This was corrected. The sliced fruit was not placed under a sneeze guard. The ship's staff reported that on occassion, the food items are placed out for self-service. In the technical compartment below the induction cooktops, there was an unsealed deck penetration. The sealant used on the backplate of the slicers in the galley and deli was not approved for food contact. Staff stated that a new sealant was on order. In the center area of the buffet counter, the deck/bulkhead juncture was soiled in the corners. There were two pieces of stainless steel stored on the deck under the center area of the buffet counter. Staff stated that these are used to cover the buffet when it is closed. There was a light out in the walk-in refrigeration unit, resulting in less than 220 lux of light. In the technical compartment under the coffee machine, there was an unsealed pipe penetration in the bulkhead. Behind and under the ice cream machines, there was a gap between the stainless steel deck material and the deck/bulkhead coving. Deficiencies (found in 21 inspections). 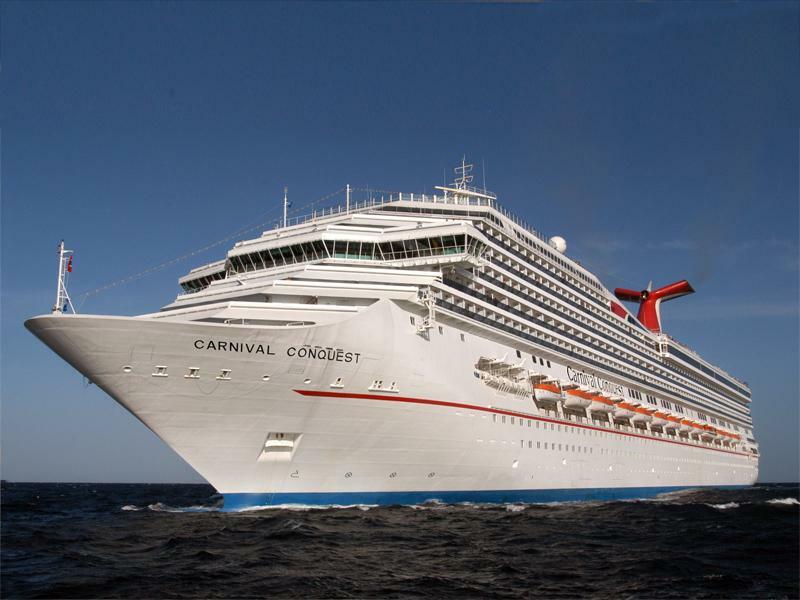 The vessel CARNIVAL CONQUEST had damage to a lifeboat on board. The guide and sensor for raising the gangway failed and the top of the gangway tunnel hit the lifeboat leaving a 15 cm by 7 cm hole in the port side of the lifeboat below the waterline. The lifeboat was switched out with another. The sensor was fixed as well. On 20MAY2014, during a phone conversation with the ships manager, the damage was estimated to be approximately $10,000. The lifeboat was not USCG approved as it was on a foreign flagged vessel and therefore does not meet the requirements for an informal investigation. 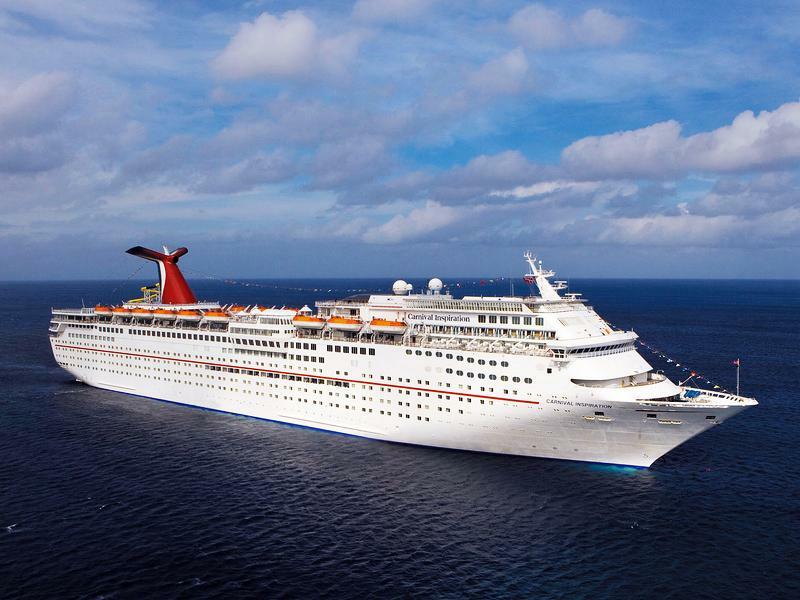 A crew member on a Carnival Cruise Lines vessel has died in an accident at the port of New Orleans. The crewman was performing maintenance on the Carnival Conquest. 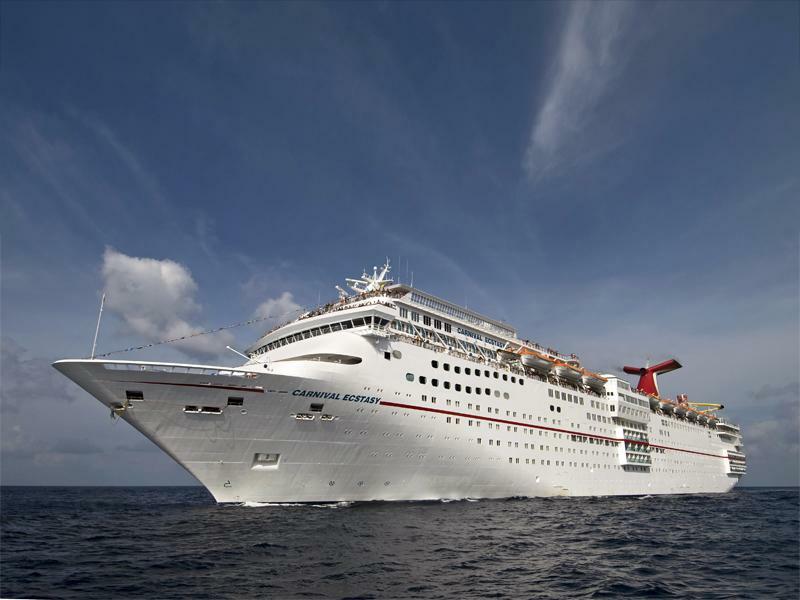 The man was crushed while performing maintenance work on the 2,974-berth Carnival Conquest (built 2002), the cruise line said in a statement provided to TradeWinds.Cherry picker accident-He was carrying out the work on a man lift, or cherry picker, when he became wedged between the lift and a lifeboat platform. Local paramedics and the ship's own medical team responded to the crew member, "but tragically the crew member died", the Carnival Corp subsidiary said. The vessel was at its home port between voyages at the time of the incident. The victim has not been identified. 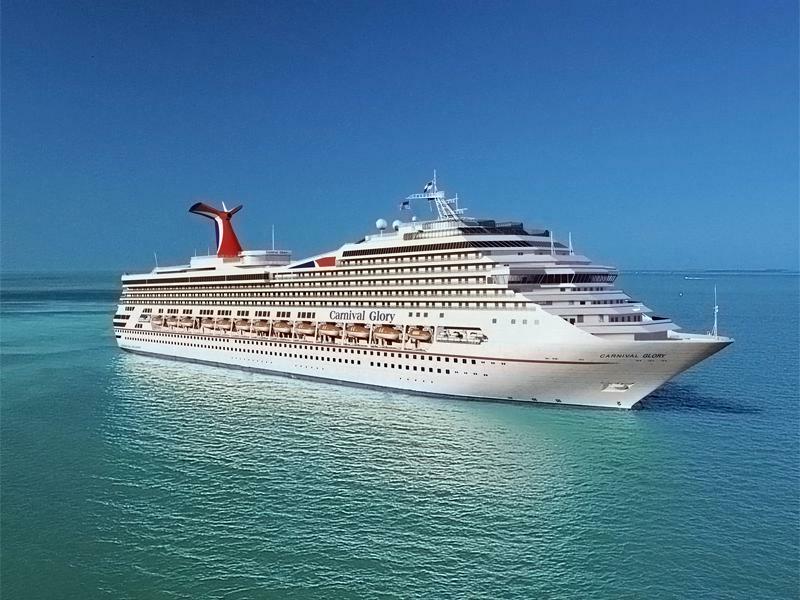 3 June 2013, Sector NOLA received report that a passenger onboard the CARNIVAL CONQUEST fell down some stairs and sustained an injury to her right shoulder. Nothing further to report. Drugs and alcohol are not suspected as contributing to this incident. 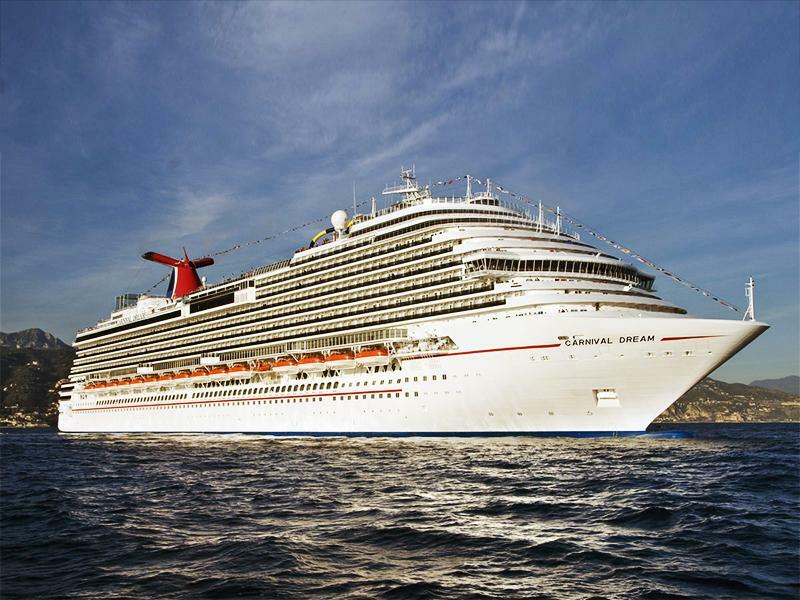 On 20 Sep 2012, Sector NOLA received a report that a child was injured while onboard the CARNIVAL CONQUEST. At the time of the incident the âM.V. CARNIVAL CONQUESTâ had on board a compliment of 1147 mixed nationality crew members, including the Master who was an Italian Nationality. The Vessel was on a routine cruise voyage from New Orleans, calling Cozumel in Mexico, and was to proceed to Grand Cayman.At Cozumel the vessel was upright, drawing 8.37 meters forward, 8.32 meters Aft, Sea water density being 1.025 gms/cc. GMo 2.45. The vessel had on board Diesel Oil 112.00 M/Ts, Heavy Fuel Oil 2430.60 M/Ts, Water ballast 2693.40 M/Ts, Fresh Water 4626.20 M/Ts along with 3188 passengers most of whom had gone ashore for sight seeing.The weather condition prior to the time of the incident, i.e. in the port of Cozumel, was partly cloudy and clear with gentle to moderate breeze, wind force 3 on the beaufort wind force scale (i.e. wind speed about 7-10 knots), calm seas with no swell, good visibility, barometer pressure 1010mb, air temperature 28Âº C (i.e.82.5Âº F) and humidy being 65%.As a consequence of the casualty, the Buffet Garde Manager was found dead in the pit of the âGââ elevator, on zero deck.There was no damage to the vessel, the water tight integrity of the vessels was intact and not jeopardized, there was no pollution as a result of this incident nor any damage to any property reported.Soon after the accident the Master informed the local authorities via the local agent, Panama Maritime Authority, and there after he called the designated persona shore (DPA) and updated him of the incident. 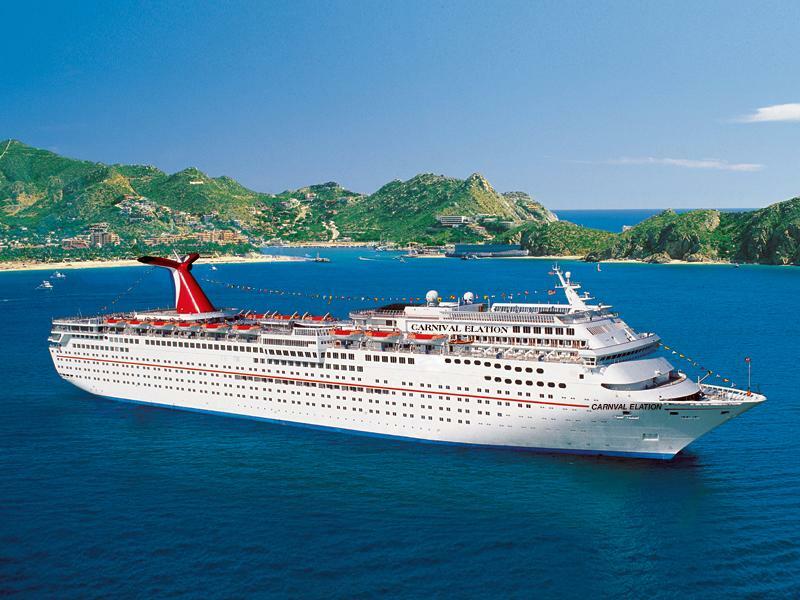 16APR12: Sector New Orleans received notification from the CARNIVAL CONQUEST that a passangers on board had died due to natural causes. 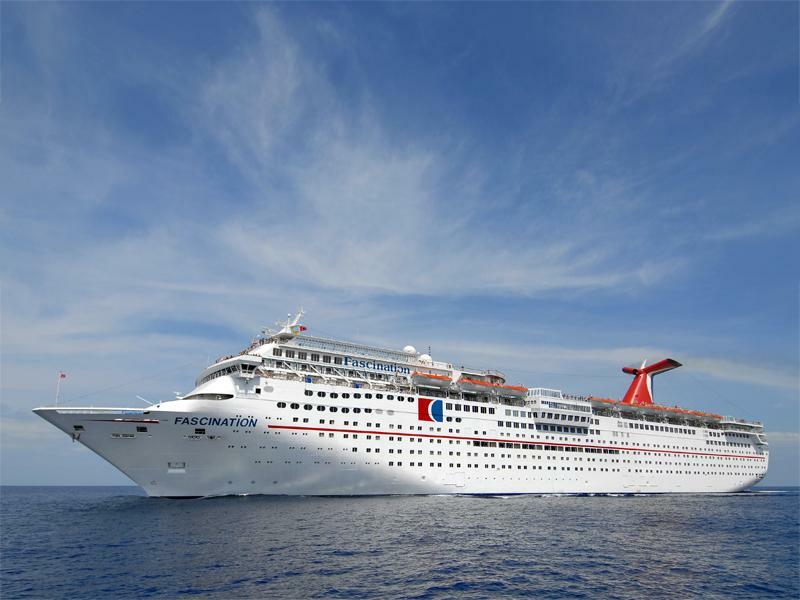 On 15 DEC 2011, passenger on cruise ship CARNIVAL CONQUEST sat down on her bed, fell, and landed on the floor. Passenger was transported to Ship's Medical Centre for assistance, and then later disembarked in the port of Grand Cayman for medical evaluation. 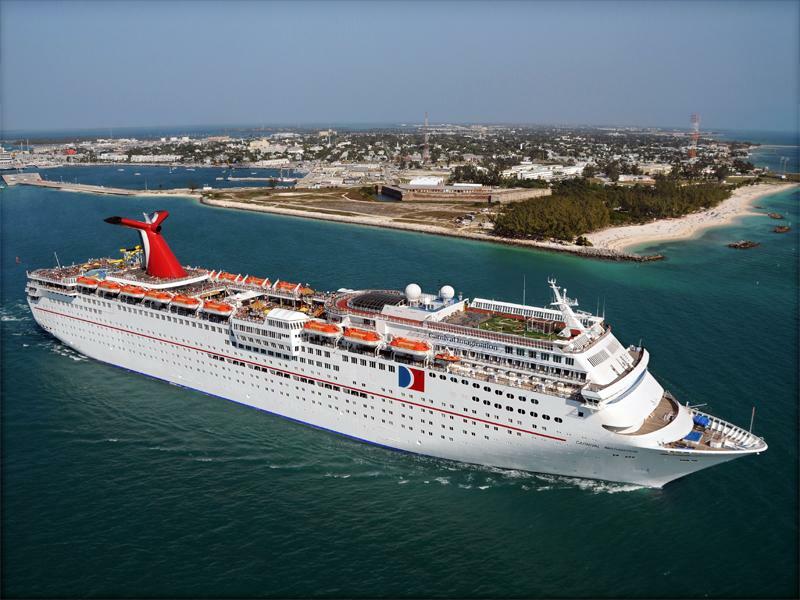 Sec KW received notification that a passenger onboard the C/S CARNIVAL CONQUEST experienced cardiac failure with respiratory distress. The passenger was transferred to a STA KW small boat and taken to EMS shore side. The passenger was transported to Lower Keys Medical Center in Key West, FL for treatment. The level of this investigation has been downgraded to "data collection" as per MSM V Part A5 Section C.
UTV WEST WIND pushing bunker barge MGI 2720 (loaded w/ bunker fuel) was coming alongside C/S CARNIVAL CONQUEST to bunker when they were reportedly set by the current and allided with the C/S CARNIVAL CONQUEST. No pollution or injuries reported. Initial damage assessments by the UTV WEST WIND is that there is a dent on the port bow of the MGI 2720 and a dent on the port bow of the C/S CARNIVAL CONQUEST. Voids are dry in the barge. On 20 February at approximately 2130 a passenger on board a cruise ship reported that he slipped and fell while ascending the wooden steps on deck-9 forward, starboard side heading toward deck-10. The passenger was observed as being under the influence of alcohol as well as having alcohol on his breath. The passenger was taken by ambulance to UTMB for treatment. 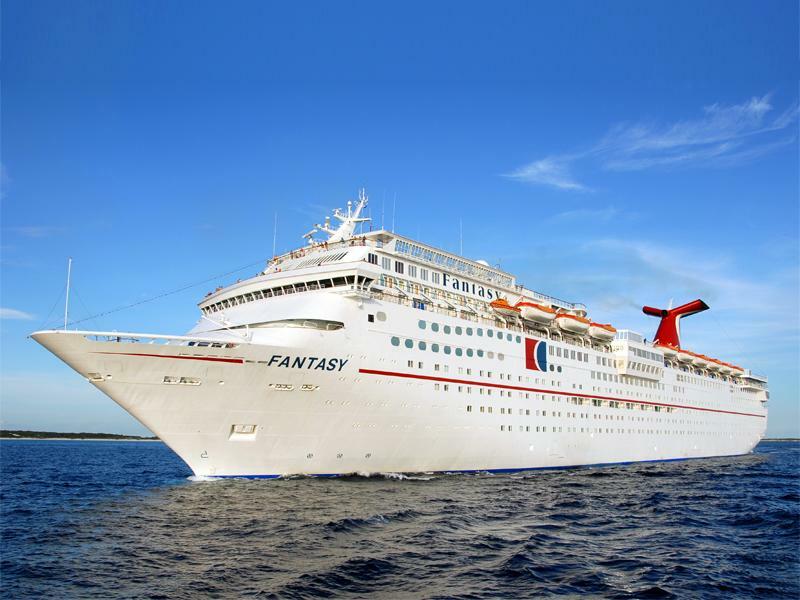 On February 01, 2011, Sector Key West received notification that a passenger onboard the CARNIVAL CONQUEST was experiencing medical issues related to his chronic obstructive airway disease. The passenger was MEDEVAC'd from the vessel, transferred to shore side EMS and taken to Lower Keys Medical Center for treatment. 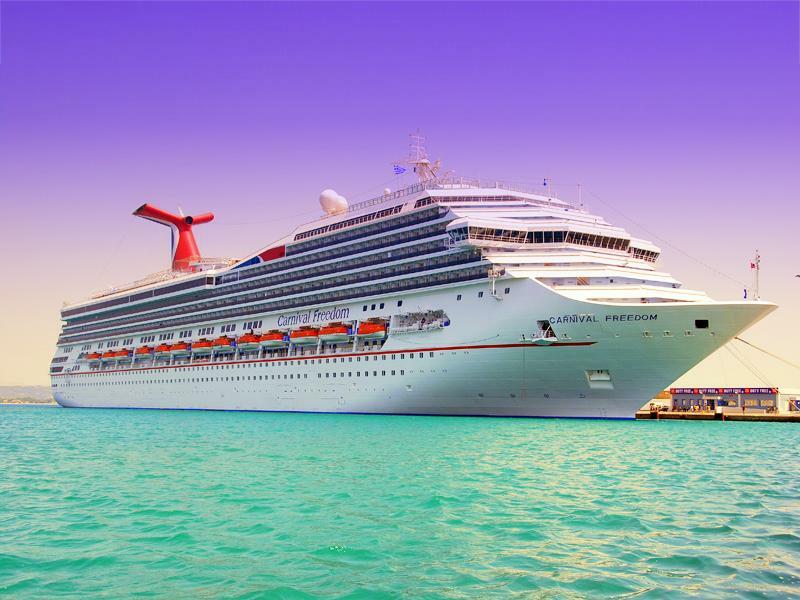 A passenger on the Cruise Ship CARNIVAL CONQUEST lost her balance while at the buffet line of the onboard restaurant, Cezanne, located on the lido deck aft port side. She lost her balance due to ship's movement and fell to the tiled floor sustaining a fractured wrist and sprained left hip. Ship's medical staff attended to her injuries. The passenger continued her cruise.